A few weeks ago a friend of mine, Tony Goins, EVP at Cabela’s, invited me to attend Cabela’s grand opening in Avon, Ohio. The grand opening didn’t start until 10 a.m., however, Tony suggested I get there by 8 a.m. As I got close to the address, I assumed there was some sort of accident ahead. There was a long line of bumper-to-bumper traffic and several police cars. After barely moving for several minutes, I realized it wasn’t due to an accident. All the traffic was from several thousands of people waiting in the Cleveland August heat for the new Cabela’s to open. I later found out people had literally been camped out for days to be one of the first 500 to enter the new store. **Secret Service Summit hotel discount ends 8/29. Book here. Cabela’s is one of the leading retailers of hunting, fishing and outdoor gear, however, the Experience they put on at their grand opening was nothing like I have ever seen before. They had entertainment for all their Customers who were patiently waiting for the store to open, including a concert by Luke Bryan. 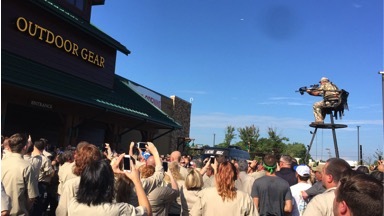 The ribbon cutting ceremony had to be done Cabela’s style, with a man cutting the ribbon by shooting it from 100 feet away with his crossbow. Then they opened the doors to thousand of Customers. 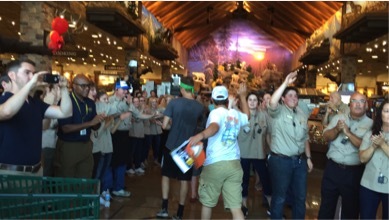 As the Customers walked in, they walked through a long tunnel of Cabela’s Outfitters (employees) high fiving each person coming through. In the article, Front Desk-Less Future, from Avedameansbusiness.com, they share how John Robert’s Spa is making a bold move to further enhance the guest experience and revolutionize traditional retail brick and mortar. 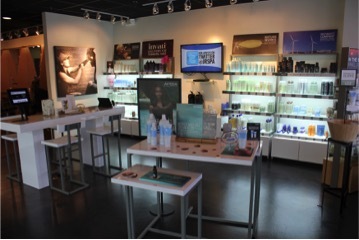 The chain of upscale salons & spas in Cleveland, Ohio, which has repeatedly been named one of the top 20 salons in America, have turned their reception/waiting areas into a true Experience area. There are no front desks or receptionists sitting waiting for Customers to come to them; no more computers, cash registers, lines of people waiting to check in and check out, not even comfortable seating. The Guest Care personnel come to you, meet you where you are. The concierge is also able to visit guests while they are getting a hair service, manicure or pedicure and get them their products, check them out, and schedule their next appointment, saving the guest a few minutes after their services are done. While the guests seem to enjoy this unique experience and conveniences, this particular location has the highest retail sales per client, $3.00 more per client than any of the other John Robert’s Spa locations. “When you go into an Apple store, its experience-based shopping,” says Eric Hammond, Managing Partner of John Robert’s Spa, “We wanted to do the same thing, and the technology was in place to do it.” This has been so successful that John Robert’s Spa plans on making all of their future salons & spas this way, including one that is opening later this year. Hireology, a company that uses data on high performing employees and its industry expertise to help businesses streamline and improve their hiring process, has grown 3,386% in the last three years. Co-founders Adam Robinson, Michael Krasman and Jeff Ellman reinvented the hiring process for their clients, working to eliminate bad hires and start improving their businesses with quality performers. Hireology organizes every step of your hiring process. 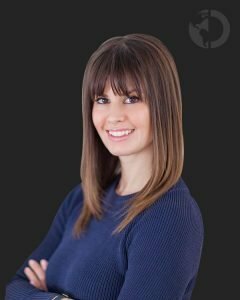 Save time and be more productive while finding and hiring the best candidates. 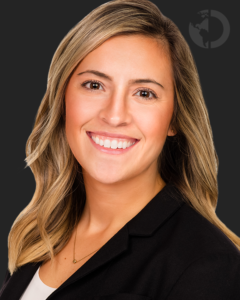 “When we help business owners hire their best team, we help our Customers win in their market. Their families, their employees’ families, and their communities all win too. Empowering business owners: that’s our north star,” says Adam Robinson, Co-founder and CEO, Hireology. Hireology placed 94th on the 2016 Inc. 500 list of America’s fastest-growing private companies. 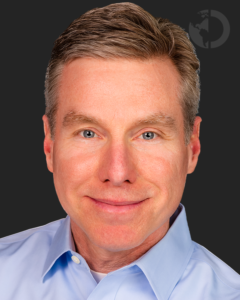 Adam Robinson is the Co-founder and CEO of Hireology, where he’s on a mission to help business owners make better hiring decisions using predictive data and innovative technology. He is a noted recruiting industry expert, speaker, and author with over 20 years of experience in the field of hiring and selection management. Hireology has been named the “#1 Talent Management Platform” in 2014, 2015, and 2016 and “#1 in Customer Service” in 2013, 2014, 2015, and 2016 by Human Resources Online magazine. 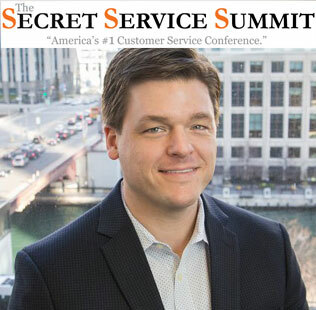 The DiJulius Group is thrilled to have Adam Robinson presenting at this year’s Secret Service Summit September 29th – 30th. 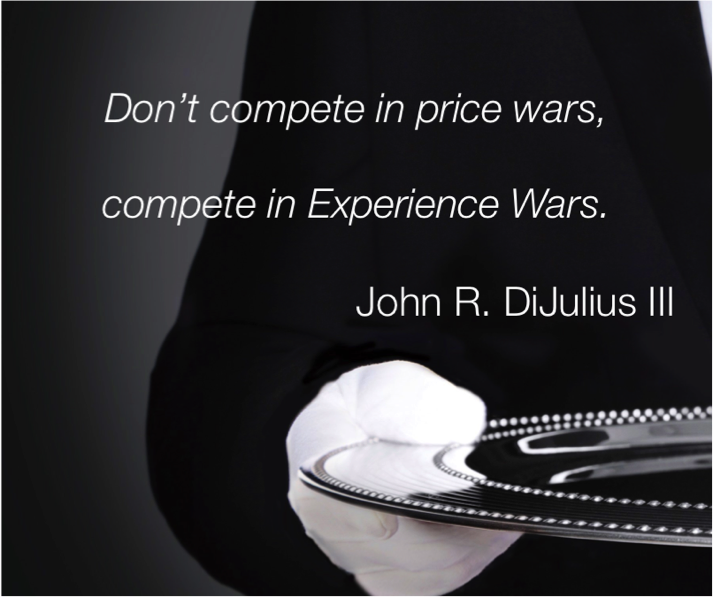 In today’s business environment, it’s your organization’s people that produce true sustainable competitive advantage. 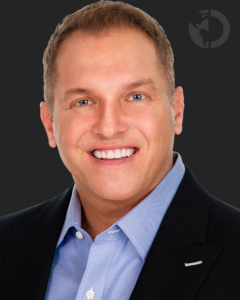 In this fast-paced session, Hireology CEO Adam Robinson will teach you how employment branding and a data-driven hiring process combine to consistently deliver great hires for your service team. You’ll leave with an action plan that you can implement immediately!